I decided to take a break last week from the golf betting tips. There just wasn’t anything I liked and I decided to skip betting completely. Boy was that a mistake. Not that I missed out on money or anything like that – but my interest in golf was non-existent over the weekend. Even when we don’t have any contenders on the final round I’m still usually watching because I’ve got hooked by someones performance over the tournament. Not this time. I tuned into the Zurich Classic and couldn’t stay focused at all even with it being a tight playoff finish. So lesson learned – even if I don’t like anything I should still throw some bets on it for the hell of it. 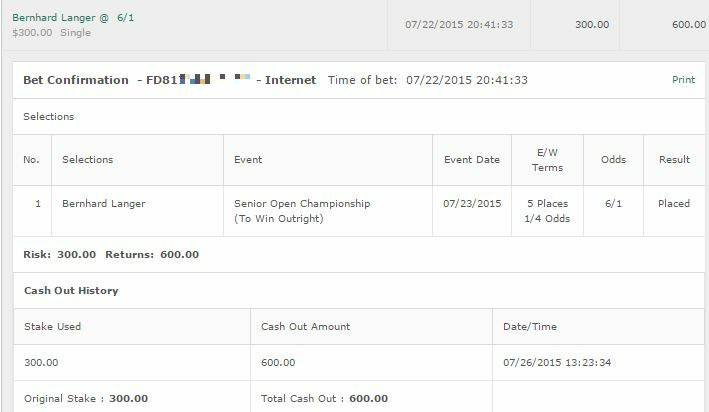 This time last year we went with Phil Mickelson and he managed to get us a cash to double our bet which was nice. Unfortunately despite his course form here, his current form is piss poor and we just can’t follow him at the odds of 25/1. A brutal price that. I must admit I’ve been very impressed with the form of the Alabama native, Patton Kizzire lately. He’s never played in this tournament before but he’s came out of nowhere this year and seems comfortable in the PGA. 30th in the Fedex Cup standings, he’s made the cut 12 times out of 15 and even has 5 Top 10 Places. He’s a whopping 60/1 and I’m not sure if he can crack the Top 5 here. I’m going to take Kizzire Top 10 Finish at 5/1 for a full unit. 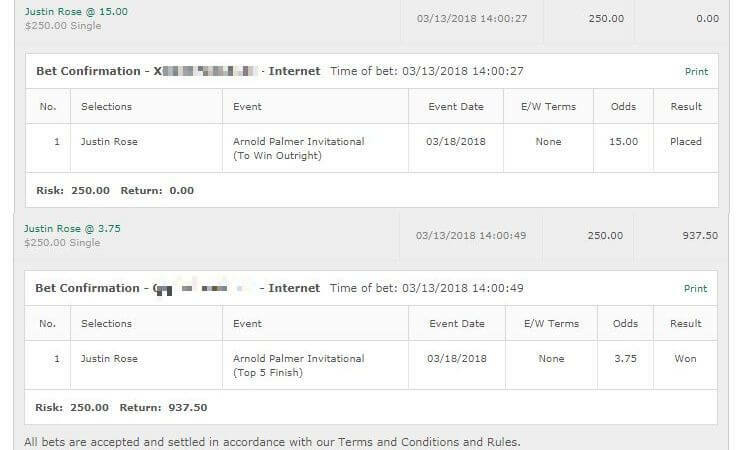 I will probably also throw a quarter unit bet on him to win & E/W because I learned my lesson at the Masters with that one. This is one tournament where course form always seems to be a factor. I’m going to place a half unit bet on multiple time winner Rory McIlroy. He’s 4/1 which is something I usually stay away from in golf but I’m going to take a shot with it because I think he’s going to be motivated after some recent weak form and this is the tournament where he gets going again. Finally I’ll put a half unit on J.B. Holmes to win and E/W. His forms a lot better over the last 2 months and he won here 2 years ago. Could see him riding close and making it in the Top 5. We’ve got to back her again here. Hur is coming off an excellent tournament at the Texas Shootout and before that, the 6th place at the Swinging Skirts. After a rocky start her form is on the up and we’ll be taking her to win and E/W. 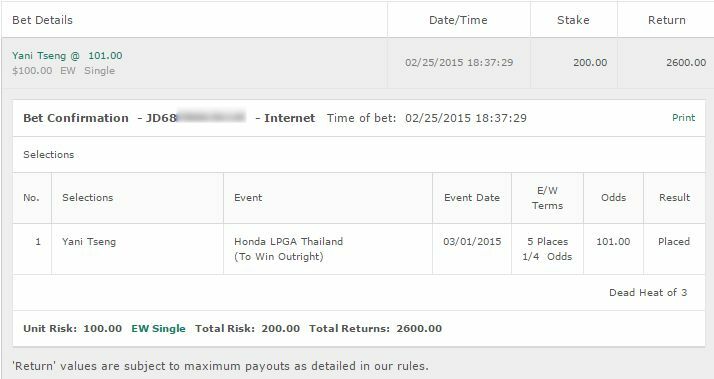 That’s the only LPGA Tip we have this week.